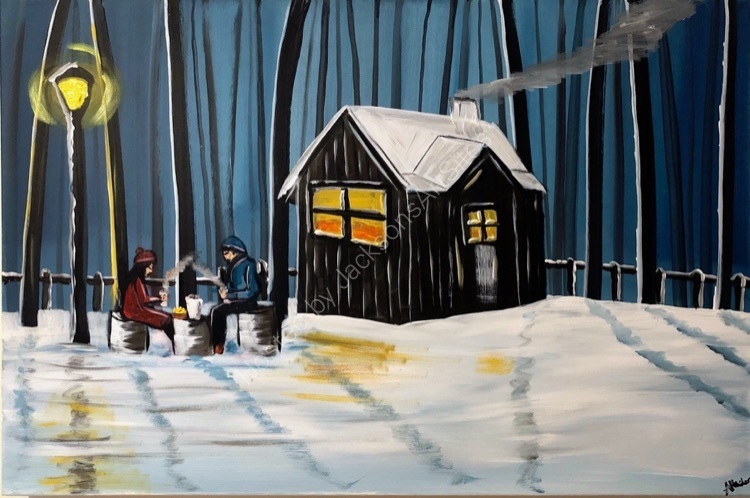 A magical winter scene of a couple enjoying a peaceful winter retreat. This painting has been signed by the artist and has been varnished with gold for protection. The painting continues over the sides so it may be hung without a frame. The painting will be carefully packed into a custom made box and delivered within 2 working days by a tracked courier service.